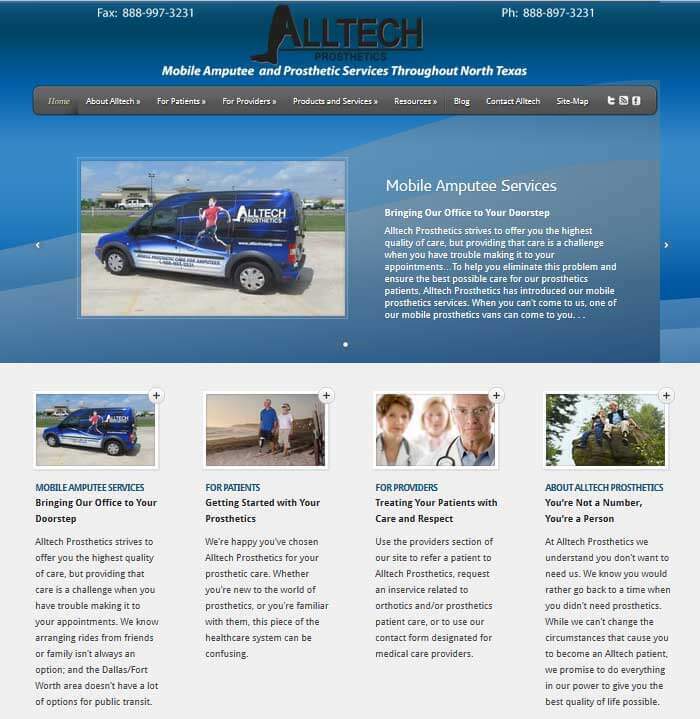 Alltech Prosthetics is a company based in Burleson, TX that provides in-house fabricated prosthetics to amputees in and around the Dallas/Fort Worth area. Because their patients come to them both directly, and from referrals by other physicians; they needed a site that would inform and educate both audiences. Sections on the site are defined for both patients and providers, with necessary information and forms on each section. 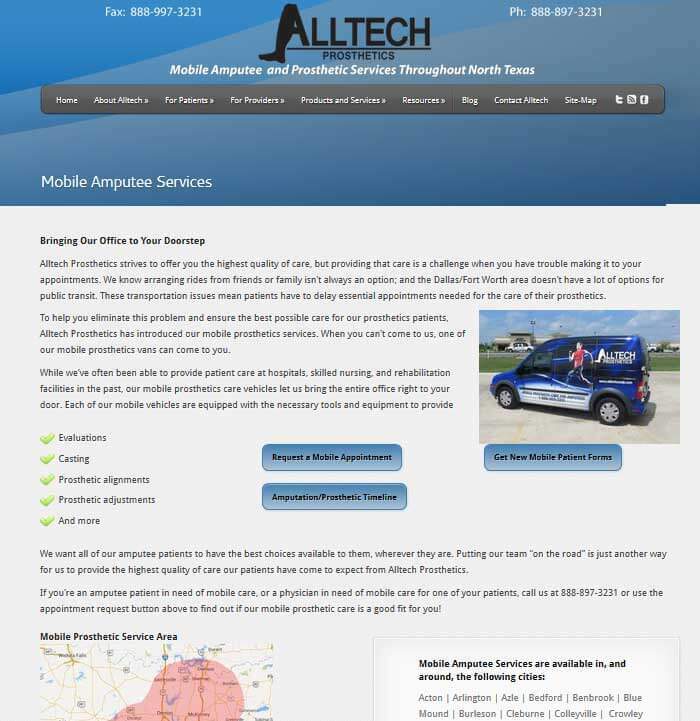 One of the other elements Alltech required was to make sure both audiences are aware of their mobile prosthetic service because their mobile service is something that makes things much easier for their patients. It also allows them to provide services for patients who couldn’t normally come to the Burleson office. With this site, not only are patients aware of this service, but they are able to request a mobile appointment online.